In February 1835, Phineas T. Barnum launched his career as a showman by purchasing a female slave, Joice Heth, from R.W. Lindsay, a Kentucky side-show promoter working out of Philadelphia. Heth was old, thin, totally blind and partially paralyzed. Barnum bought her for $1,000, half of which he had to borrow. On August 10, 1835, Barnum exhibited Heth at Niblo’s Garden, one of New York City’s largest theatres, where six months earlier he had applied for a job as a bartender and been turned down. He claimed Heth was 161 years old, and had been George Washington’s nurse when the first president was a newborn. For seven months, Barnum exhibited her in cities throughout New England, in taverns, concert halls, inns, museums, even in railway houses. Audiences would ask her questions about Washington, and she would recount what Washington said and did as a child, including chopping down a cherry tree and refusing to lie about it. She sang hymns she claimed to have sung to “dear little Georgie” to get him to sleep. She talked about her religious beliefs. Barnum made $1,500 a week exhibiting her. Newspapers questioned Heth’s authenticity. No one, they said, could live to be 161 years old. When attendance began to fall off, a Boston newspaper proclaimed that Heth was not a human being at all, but an automaton, with India rubber skin over a skeleton of movable metal bones – a story no doubt fed to the paper by Barnum himself. Heth’s popularity returned. People who had already seen her flocked back to see her again. In February 1836, after an exhausting seven-month tour in which she was exhibited six days a week for up to 12 hours a day, Heth died. Barnum rented New York’s City Saloon and charged an audience fifty cents to watch Dr. David Rogers perform an autopsy on her. Fifteen hundred people filled the theatre as Rogers dissected Heth’s corpse. She weighed 46 pounds. 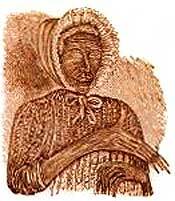 After the operation, Rogers declared that Joice Heth had been no more than 80 years old, maybe as young as 65, which meant she had been born between 1755 and 1780. Since George Washington was born in 1732, she could not have been his childhood nurse. She had lied to them. Even P.T. Barnum declared his astonishment. She had lied to him, too. The crowd turned its anger on Heth. It was Heth, not Barnum, who had betrayed them, A 161-year-old woman! How could she have expected anyone to believe such nonsense? She had promised them miracles, and then returned them to their tired, dull, everyday lives. She had reveal to them their own gullibility, forced them to face their pathetically self-delusional natures. The crowd continued to worship P.T. Barnum; it was Heth they crucified.